Panama City Beach is a very popular vacation destination in northwest Florida. It’s a waterfront town with miles of white-sand beaches fronting the calm, clear waters of the Gulf of Mexico. There are hiking trails, fishing piers, large shopping centers and many popular restaurants. If you’re looking for a place to plan your next beach vacation, Panama City is a great place to bring the whole family! If you’re just in town for the weekend- there are many 5 star hotels in the area. Expect the best! Panama City Beach hotels give you great rooms and southern hospitality with a smile. Hotel parking is always free here, and most hotels offer airport transportation. There are lots of ways to stay when you’re in town, but hotels give you some of the luxuries you won’t find elsewhere: concierge services, wake-up calls, housecleaning, swimming pools, tennis courts, and best of all- your very own private beaches within walking distance! A few offer spas, golf courses and even restaurants on site. 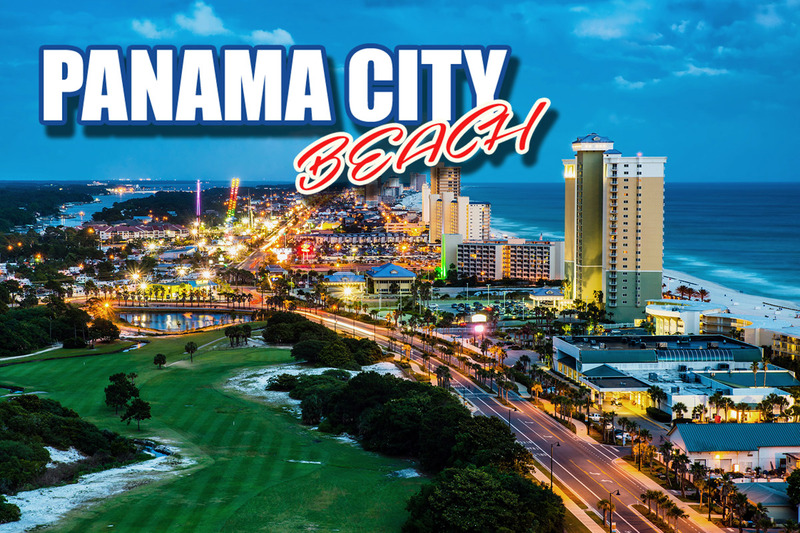 Whether you’re looking for a cheap room with just the basics, or an ideal resort for relaxation- Panama City will have something to fit your needs. If you’re the type to “rough and tough it” There are a few Campgrounds and Rv Parks available also. Whether you’re camped in the wilderness of St. Andrews State Park or parking it like a boss in a modern RV park, if you like waking up to beautiful nature all around you, camping and RVs are the way to go. Panama City makes the great outdoors… greater. You’ll not only be close to nature, but also close to amenities that make any vacation a little easier and lots more fun. Most parks can handle any size RV or trailer. They offer pull through and back-in spaces. You can pick a secluded site, or be apart of the community with shared BBQ pits, picnic spots, rec rooms, pools, playgrounds and more. If you’re not interested in sleeping without power, a few RV parks offer convenient power hook ups just for you! Talk about WIFI at your fingertips! One of our favorite options for Panama City Beach is the plethora of vacation rentals. Most of the vacation rentals you would rent in PCB are condominiums that are owned by people who utilize them for their own vacations, but rent them out to others year round. There are tons of condo options in Panama City Beach – with most of them being located directly on the beach. You’re just a few sandy steps away from the world’s most beautiful beaches. It’s not too good to be true. The best part of choosing a rental is it offers all the comforts of your home. Most offer washers and dryers, full kitchens, and everything you need for cooking and dining. For families and groups, there are many of vacation rentals in Panama City Beach with four or five bedrooms to spread out. Or you can bring your significant other and stay in a private romantic retreat. Most vacation rentals are right on the beach, so you can bring the whole family out and play some volleyball or take a walk while the sun is setting with that lucky someone. Obviously you’ve come into town for the beautiful sugar white sand beaches, but there is much more to do than building sand castles! There are tons of fun-filled attractions from dancing the night away at one of our 21 and older nightclubs or playing mini golf with the kids! The best part of the nightlife is that no-one expects you to get all dressed up, khakis and flip-flops will do just fine. We’ve got some hot spots where the party never stops- clubs like Tootsie’s Orchid Lounge (sister club to Nashville’s work famous honky-tonk) and Cub La Vela the biggest nightclub in the US. Plus smaller spots like Ms. Newby’s and Pineapple Willy’s. If you’re into a more laid back scene, lounges like Schooners and Spinnaker Beach Club offer live music and delicious foods too. If you’re taking the kids out on the town there are plenty of places for that too. 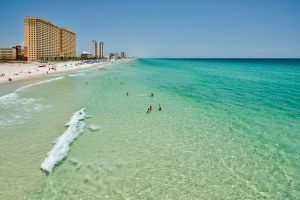 Panama City Beach attractions for kids will earn a special place in your heart- that place reserved for tons of fun without long lines or sky high prices. They have two giant mazes, a petting pool with stingrays, a four story science puzzle paradise- and this is just a fraction of what they have to offer. If you have older kids, there’s always Shipwreck Island Water Park. It’s a very popular water park with lots of slides for everyone to enjoy, If you want to learn while you’re in town there’s a whole world of arts and culture left to discover. There are plenty of ways to get your creative juices flowing, like painting masterpieces you can take home with you, or enjoying a night at the theater. For a limited time, take part in Beach Art Group’s Art Walk too, it’s full of rich culture and literature. We welcome you and your family to Panama City Beach with open arms, and we hope you’ll come back year after year to enjoy everything there is to offer! Looking to buy a home in Panama City Beach? Check out the Best Real Estate Agent in Panama City Beach and his top listings. Worth with ONLY the Best Real Estate Agents in YOUR Local Market.